We believe that in the wake of the EU referendum it is even more important than before for the banking and finance industry to rethink its relationship with society and how to earn back some of the trust that it has lost. A good place to start is how to make a better case for the value of what banking and finance do. This case might focus on the benefits that banking and finance deliver to the economy and to society, and focus more on customers and end users, not the financial services industry itself. 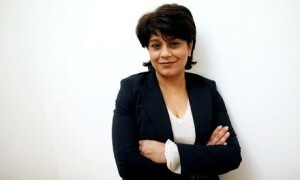 This dinner with Baroness Shriti Vadera, chair of Santander UK and a former government minister, will explore how the industry can make a better case for the value of what it does and how it can best articulate that case.